Monday, 10 September 2018, 1:33p.m. 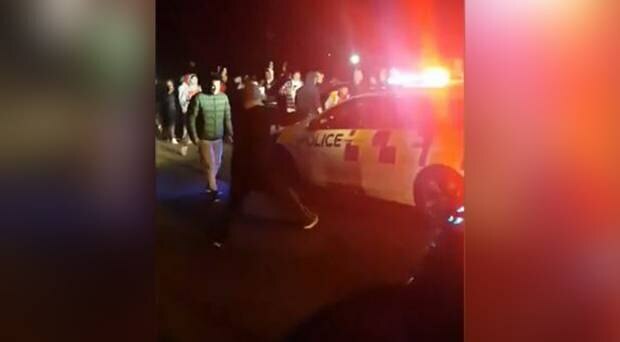 A group of unruly boy racers have been caught on camera jumping on police cars and smashing windows at an event that descended into chaos on Saturday night. 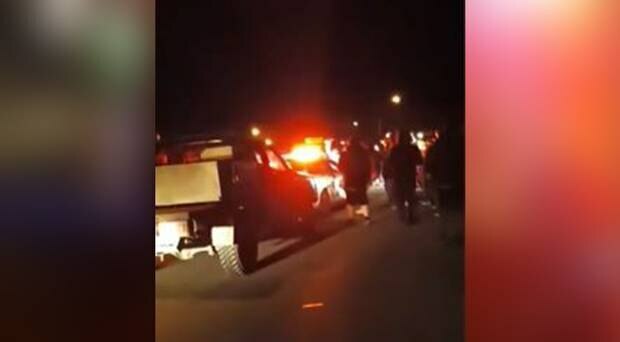 Large crowds gathered for the "Aves Invasion Weekend" in Christchurch, an event for car enthusiasts to show off their vehicles and do burnouts. But when police tried to shut the event down they were met by an angry group who soon turned on the police, damaging their cars. Videos posted to social media show boy racers "boxing in" police cars with their own vehicles and jumping on the police car bonnet before smashing the windows. In a video labelled "FTP" (f**k the police), the unruly group can be heard screaming "tip it over" as others smashed up the bodywork of the police car. More than 1600 people planned to attend the event. Following the incident, one poster wrote: "We stood our ground and made that pig back the f*** up." However, others took aim at the group saying they give car enthusiasts a bad name. "What a bunch of idiots. I was into the 'boy racer / car enthusiast' scene in my late teens but never ever would we have publicly embarrassed ourselves like you have over the weekend. "Complaining that you're sick of police turning up to your meets, so you damage their car and threaten the officer. Wait til next weekend, you'll have the riot squad there and you'll all be crying to your mummies when you get arrested. Grow up"
Another wrote: "The car scene is different for every enthusiast and they are just doing their job you'd want them or an ambulance there pretty quickly if a fight broke out or someone did get hit." The events organisers, Christchurch Dwnunda, encouraged people to add the group on Snapchat for the gathering's location and for future events.